How to get fit before a trek? I talked of how going on a trek is not such an arduous task and very enjoyable. I also mentioned a few dos and don’ts that would help the first time trekkers. 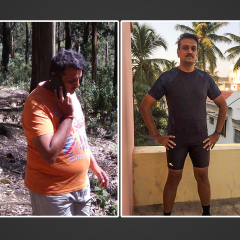 In this current blog, I shall tell you about fitness for trekking and how to prepare. Most people heading off on a trek must be at a fitness level wherein they can truly enjoy the trek. Unfortunately, leading a busy life and lacking a specific fitness regime leaves many trekkers less prepared than they should be. Training to be fit for treks is no rocket science. Training smart helps and training effectively helps to gain energy which in turn will help you truly enjoy your trek. Trekking up a mountain or just hiking across in the countryside is a wonderful activity that everyone should indulge in. Believe me, it is such a joyous and rewarding experience; however, one must be prepared for the activity they are undertaking. Many trekkers are lured into the idea of walking down the path clicking fabulous photos, stories, or just boasting away to say they completed an arduous task called trek. Others, might be interested and have good intentions, but have no idea what is physically required or how to prepare for it. Any adventure sport activity requires stamina and strength. Trekking is like any other athletic sport and before you embark on this path it’s good to get yourself medically checked and consult your doctor. If you let your doctor where you are going for a trek –in India specifically if you are going for the time for a trek to the Himalayas it is good to get a basic medical checkup done. You can also let your doctor know the conditions your trek entails. What altitude would you be scaling, the number of days the trek entails, the distance you would be covering per day, the change in altitude per day and the extremes of temperature that you are likely to encounter. Once your doctor is aware of what activity you are going to undertake he can advise you accordingly. But, in terms of getting some fitness tips its better you discuss your activity with your personal trainer or somebody who is a pro trekker and well aware of the conditions in the high altitude as they would be better equipped to give you the right guidance. Preparing for a trek is no different from preparing for a long distance run or a long distance trail walking. The only difference being a trek is not a competition and you can walk at your pace and enjoy the serenity around you. For trekking you need to adapt your body to stress and build on it slowly and steadily to be able to handle more stress in the future. The idea is to toughen your body to withstand extreme conditions of the trek. Believe walking for 5-6 hours in high altitude or at an altitude of even 3000 feet is taxing if you are not used to it or if you are not fit. This is not achieved overnight though. This training has to start at least three to six months in advance for your body to get attuned to the stress levels that it will go through. If you intend to take trekking or any outdoor activity seriously and plan to go on regular treks then training on a regular basis would be helpful. Trekkers need a balanced approach, strengthening the entire body, if you want to be successful and injury free during training and during the trek. It is therefore important to strengthen your weak links as well as the major muscle groups. When it comes to the trekking, having a strong back goes a long way apart from having strong legs and arms. So along with cardio coupling strength training will not hurt but only help. Strength training will help build up muscles. The key is to strengthen our stomach muscles as well as the surround muscle groups known as the core. Every trek involves climbing or descending significant elevations. Therefore you need to prepare your body for climbing, descending, or both. It is important to vary your training to work the muscles and joints used as you climb and descend. If you have varied terrain near your house where you live that would an ideal training topography. By walking one of your longer walks up and down a hills trail, you simulate the conditions of your trek and work both the muscles needed for down hills as well as up hills. But, not all of us are lucky to have that perfect training setting. The best way then to train is to build a few physical activities within your daily routine before you embark on the trek. Start with walking for about 1-2 hours on flat surface for a week and gradually increase it to about 3 hours with walks on inclines for four or five days a week with a backpack with about 4 kg in it. This is because in every trek you go you will be carrying a small daypack with at least 3-4 kgs in it. So you need to be prepared to carry weight and walk well. If you work out in the gym then walking on the treadmill with a backpack at a 2-5% incline will enhance your endurance and also strengthen you. The other ideal way is to simulate your hill training by climbing up and down flights of stairs. Repeating the process a number of times helps. Initially start with 20 flights of stairs. Then gradually build up to 100 flights of stairs. This number is highly subjective as flights vary in size and the amount of elevation you may climb in a day varies greatly. However, 100 flights is a reasonable goal that if reached accomplishes a good base to prepare for your trek. When walking up and down steps, try to vary which leg you lead with as well as whether you take one or two steps in a stride. By varying your step you greater simulate real world conditions. It’s usually not the case that you can walk with a consistent exact stride. Sometimes you have to step over large rocks or reach down to a flat area. The more you simulate the conditions experienced on the trail the better prepared you will be. Most people don’t realize that walking downhill actually is more destructive to the body. This is for two reasons. First, there is more force on the body as you go downhill, especially with weight on your pack. Second, as you descend, the muscles elongate when stressed caused by walking uphill. Initially you can start climbing stairs without a pack on your back. As the trek dates near say a month before the trek you can walk with the pack and the weight. Remember along with all this training a proper diet and rest should not be forgotten. Finally trekking should be fun it should be enjoyed and not thought of as an arduous task. The goal should also never be race to a destination. The moment you think it’s a race and want to go ahead of everyone, you are putting yourself into trouble and in the process miss the wonderful sites and experienced around you along the way. hi anusha, first of all, very good and useful article. cheers !! 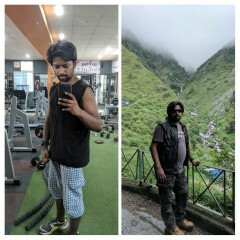 I am planning for Annapurna base camp trek on may 2015, that is in 2 and half months from today and i am completely out of shape. the trek involves 6/7 hrs walk daily for 12 days. Is this a good idea to plan a trek in 2 1/2months and start the fitness training from tomorrow? If you could write few steps (bullet points) for a quick read, then this stuff would have been awesome. Great tips .went for first time treking without reading your page. Looking forward to the second with training . The article was interesting. Thank you for the useful information. I have,so far, lost 11 stone 4 pounds in weight will this help or hinder my chances of taking part? I am walking a 5k in two weeks time but what would you recommend to someone who has nearly zero experience in this field? Am I being too ambitious? the trek is a week long in Slovenia and we will be walking 96k in total. I can handle a challenge I know I can but I just don’t want to overdo it or injure myself. Please please if you have any more tips or suggestions I am all ears!!! Thanks for writing in. 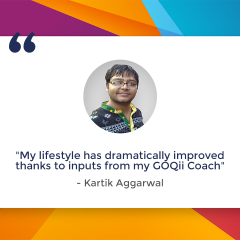 If you can send me an email on anusha@goqii.com with the details of your trip and your current fitness routine, I could probably be able to let you know. Also I will have to research a bit on this trip you are likely to do and then get back to you. I’m a vegetarian & 57 years and want to know what are the things/eatables to be avoided while preparing for a trek. I’m a foodie and feel like eating every hour something or the other. Can you please suggest some menu (Veg) and simple exercises. I do not give diet plans. According to me if you exercise right and eat right you will be able to maintain your weight. As for now to reduce, Portion control your meals. As for exercise you could walk with about 4-5 kgs in your backpack and climb stairs. If you have not been practising at all and embarking on this high altitude trekking, I would advise start now. Start with climbing your building’s floors once up and slowly increase this routine. alternate this with normal walking. Do it with discipline. 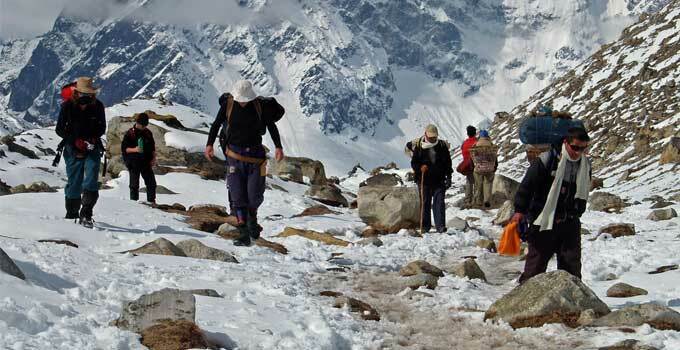 Kinnaur Kailash and Shrikhand Mahadev trek will be strenuous. Also, start drinking lots of water. If you have been having 3 litres daily increase that intake to 4 and then slowly to 5. In the Himalayas, hydration is very important and it can also protect you from high altitude sickness. 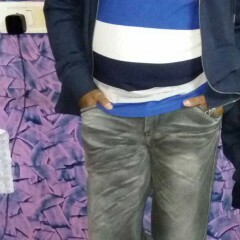 It would be better to go to Tirumala on foot and have beautiful darshan of the Lord. Do it continuously for 2 to 3 weeks, by the blessings of Lord balaji surely you will reduce 7-8 kgs.regarding diet you can take free prasadam(very nutritious food) there. I am totally out of shape and am not doing any physical activity for the past 7 months. I am planning for the Chopta- Chandrashila trek, which is a 4 days trek and requires 3 Km in day 1, 14 Km in day 2, 8 Km in day 3 and 5 Km in day 5. Can I train myself in 1 month to be able to complete the trek.